There are many ways to practice kindness: smile at people, write a nice note, volunteer in your community. The Great Kindness Challenge gives students a list of 50 ways to be kind, then challenges them to complete as many kind acts as they can in a week. Over 10 million students have participated worldwide, and Union Ridge Elementary was glad to join in the challenge. 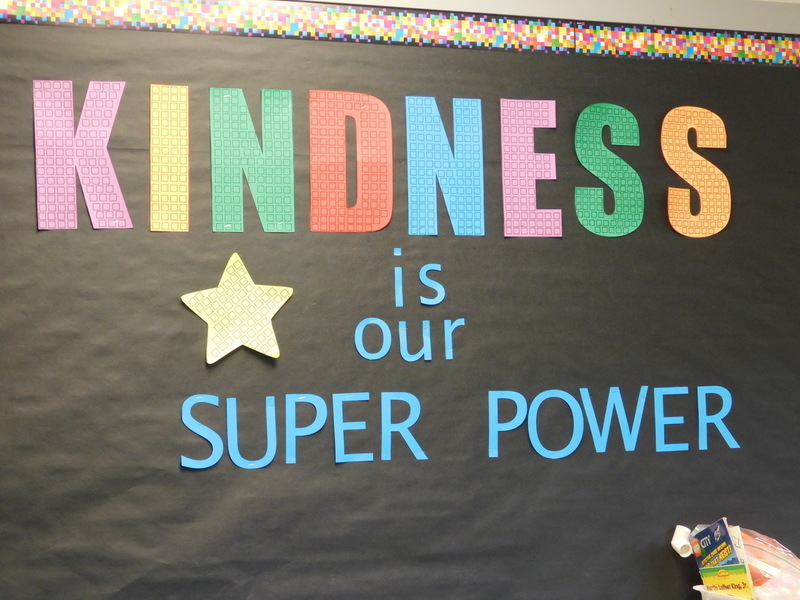 Kindness is a super power in Sara Eastham's second grade class. Union Ridge kicked off its Great Kindness Challenge week with a school assembly. Every student received a bracelet that said “Kindness Is the Tater Tot Way”. They also had fun theme days, where students could wear a tie for “Tied Together by Kindness Day”; have crazy hair for “Crazy for Kindness Day”; wear a hat for “Makin’ It Rain with Kindness Day; and wear the Tater Tot school colors for “Kindness Is the Tater Tot Way Day”. Students were also given the opportunity to make “Kindness Krafts” at recess. Activities included making a bookmark for a friend, writing a compliment to a friend for the Kindness Tree, or making a kindness poster to be hung inside the school. 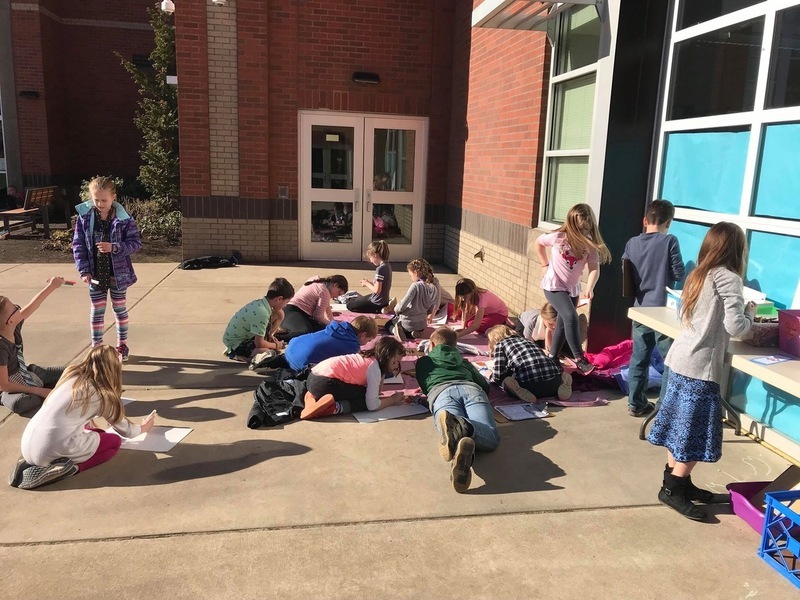 Kids at every recess lined up to grab art supplies and spent their free time creating small acts of kindness. The Great Kindness Challenge is a nonprofit organization that hopes to create a culture of kindness for schools and communities—one act of kindness at a time. It invites schools, families, and individuals to participate. To date, it has inspired over 500 million acts of kindness. To learn more, visit https://thegreatkindnesschallenge.com/. 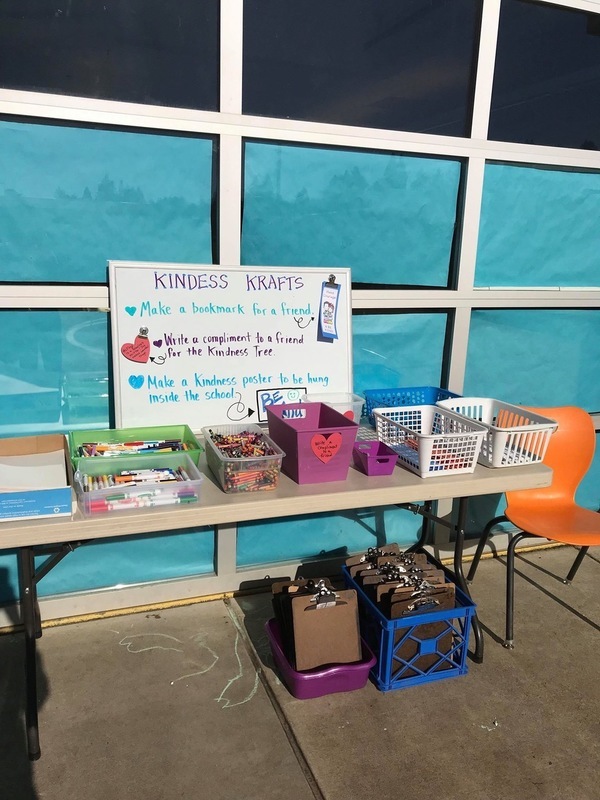 Supplies for "Kindness Krafts" were set out at recess. Students enjoyed making bookmarks, notes, and posters.